Welcome to King Lewey’s Island Resort. We make dreams come true. 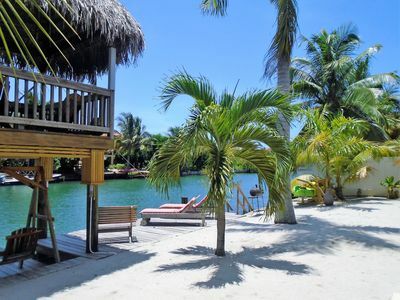 Our resort is a secluded island paradise just a thirty minute boat ride from the shores of Placencia. 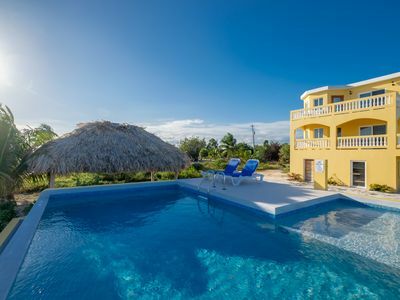 Your dream vacation starts with pick up from one of Belize’s airports then, transfer to one of our complimentary fleet of three new comfortable boats; or you can board your complimentary boat in Placencia at Brewed Awakenings at 8:30am, Monday-Sunday. 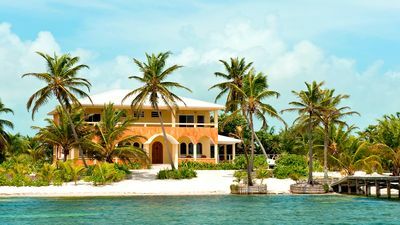 When you arrive at our dock you will immediately feel relaxed and ready to enjoy your suite on one of the best privately owned islands on the beautiful turquoise seas of the Caribbean. You will see precisely why the popular TV show "Island Hunters" featured this destination on one of their recent episodes on HGTV! 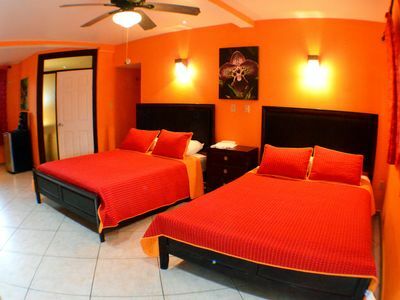 When booking this listing you are booking “The Purple Octopus Suite.” The Purple Octopus Suite is furnished with two King size gel memory foam mattresses, three full size mattresses, and two full size futons. So it is a 4 room house that will sleep 8 and the fold down futons in the living room can sleep 4 The beds have luxurious 1600 thread count Egyptian cotton sheets. 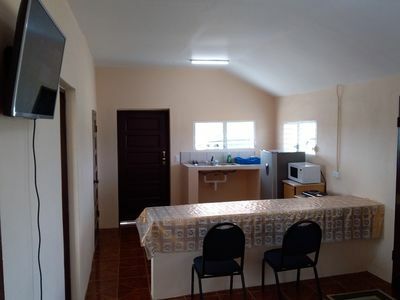 The suite has one private bathroom that is equipped with a sink, toilet, and shower with hot and cold water and all the amenities you would expect on the mainland. 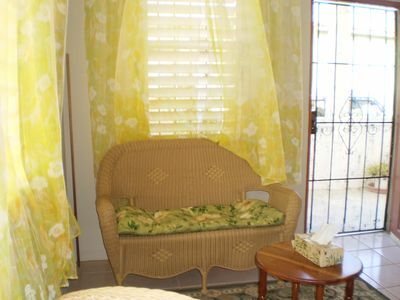 There is also a public restroom outside the suite with toilets and a shower for your convenience. The suite has a clock, and safe to store your valuables. The price of your nightly stay includes one welcome drink when you arrive and a free breakfast For the rest of your stay you can choose to have the island staff bring your meals right to your cabana or you can eat at "The Black Pearl Bar" or in "Captain Jack Sparrow's Den." 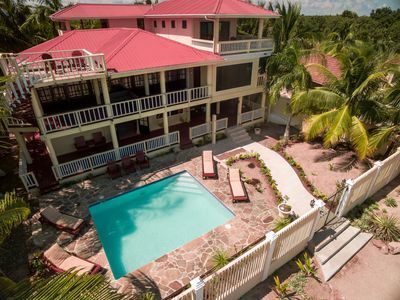 Other perks of the island include DVD movie rentals for the flat screen Television in your rooms or at the bar , laundry service, a full service bar and restaurant that starts serving coffee at 5:30am everyday, a mini bakery, room service, massage right on the dock under one of the palapas, and our restaurant is the only restaurant in Belize to exclusively sell live lobster! We also have an outdoor lava rock butane fire, two Barbecues, and a 1500watt stereo system. While enjoying the islands stereo system, with drink in hand, you can bask in the sun on one of the islands five different beaches. The five beaches are Windless Beach, Bar Beach, Confusion Beach, Pirate's Landing Beach and Coral Beach. We even have a machine that sprays a fine mist of water to reduce body temperature for those who aren't ready to get in the ocean water just yet. The entire Island is eco-friendly, powered by solar, and uses the water that is attained from the gorgeous Belezian skies. The attention to detail on this private island is unmatched. 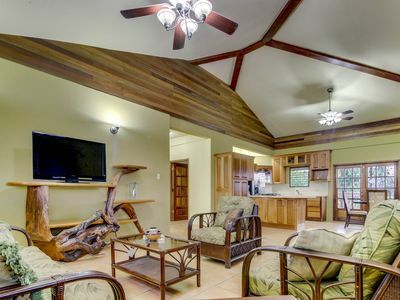 The furniture and railings on the island are made from local Belize tree wood and was crafted by a local Belizean citizen. 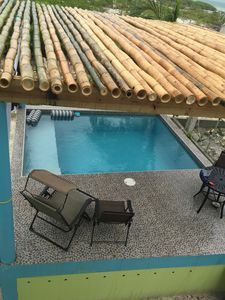 The palapas are constructed of leaves gathered from the jungles of Belize. We even have our very own lobster and fish pen right in our dock. You can pick your very own live lobster or fish out of the lobster and fish pen that you want to savor for your main course. We grow our own mint for fabulous mojitos too. During your stay on King Lewey's Island resort you will be delighted by a fun pirate themed atmosphere with photo ops abound. You will also have access to our paddleboards, snorkeling gear, and kayaks to get up-close and personal with the sea-life just waiting to greet you day or night. We have a color changing light in the water on one side of the island that make night swimming a possibility for the brave. We have Caribbean fish, sea horses, Dolphins, stingrays, and octopus that swim around the island waiting to show off for you. 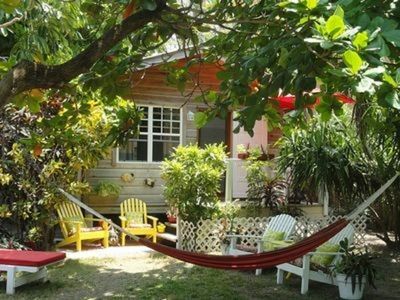 After a day or night of swimming in the blue waters of the Caribbean you can relax in one of the hammocks, fish from the dock, take a well deserved nap in a lounge chair, play games or crack a cold one at the bar and put your feet up. Our staff can also help with arranging reef and rainforest adventures, deep sea permit fishing licensing (This place is a fisherman's paradise. 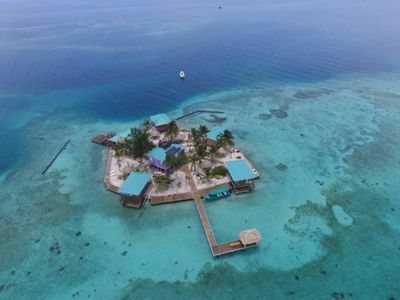 We are located adjacent to the finest permit fishing flats in the world), dive the blue hole adventure, and international flights, amongst many other activities that Belize offers. 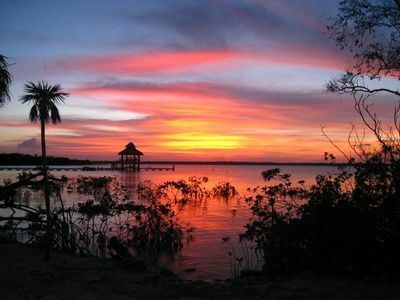 When you are ready for departure our boat captain will see that you arrive back in Placencia safely. From there your transfer to one of the Belize airports is all included too. 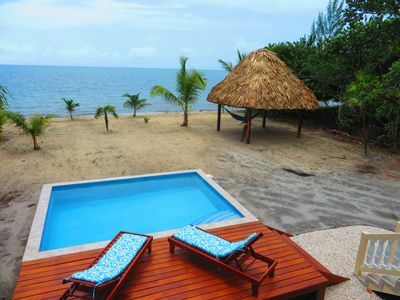 King Lewey's Island Resort has been featured in the Placencia’s "What's Happening" publication as the #1 place to visit. So why wait? 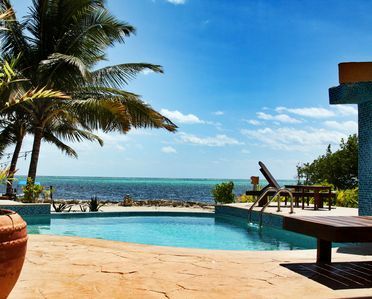 Book your dream destination vacation now and start getting ready to live the island life. Beachfront Home with open air living area and a pier! 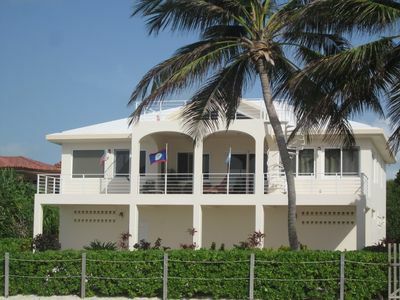 Dolce Cabana Waterfront Suites as seen on HGTV! 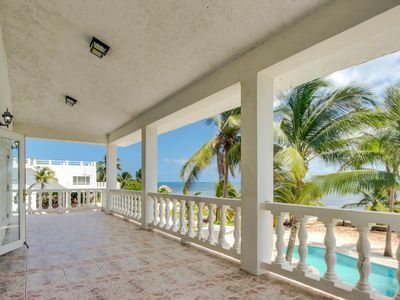 Stunning views, a pool, fresh sea air, and oceanfront location await! 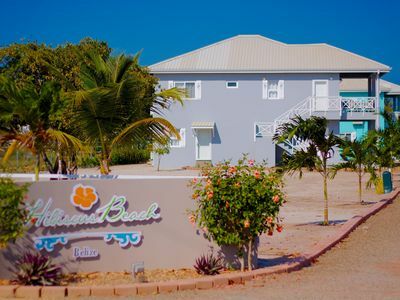 Rustic Beachfront Hotel for Family and Couples! 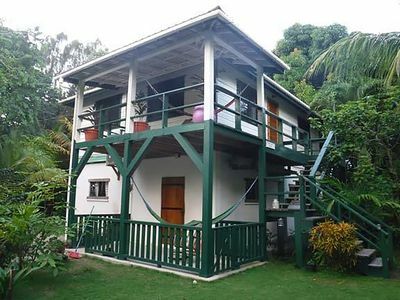 Two bedroom home with private pool and two complimentary bikes. 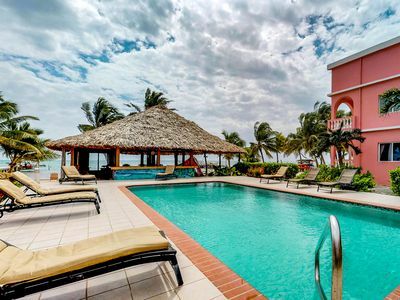 Breezy apartment w/ shared pool in beachfront resort, near restaurants and more! 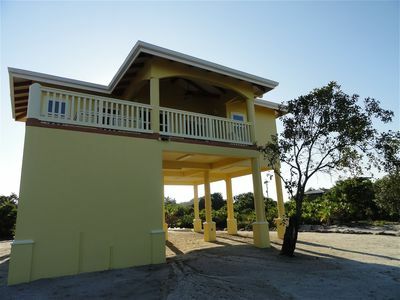 Two Bedroom Beachfront Villa with Pool!